On last year’s Elephant Revival release Petals, bassist and band co-founder Dango Rose unveiled a song that he had worked on for over two years. “When I Fall” buried Rose under at one time almost 10 different verse options and he spent years whittling away at the material to reduce it to it’s core meaning in only two verses, and two and a half minutes. Songwriting challenges like that however appear to be more than part of the fun for Rose, who for his most recent endeavor is trying something equally difficult, but from another angle entirely. 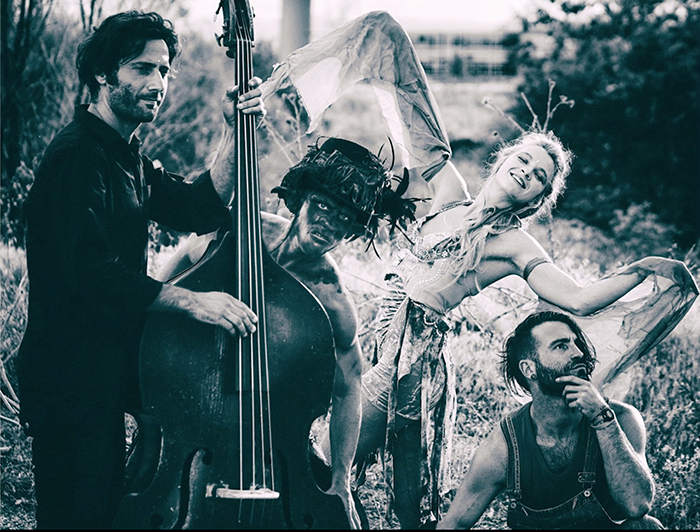 For the last five or so years, Elephant Revival has worked on and off with a group of aerial performers and movement artists known as the Fractal Tribe, who have mostly joined the band at their Colorado shows, but have ventured out a bit on the road with the group as well. A little more than a year ago they did a New Year’s Eve run to the Midwest and a trek down to the Envision Festival in Costa Rica together. “It was during that time together that we started talking about what this show could look like — something that combines the Boulder County circus community with the local music community to create it’s own show. It’s a collaborative piece from different, pre-existing artistic communities and tribes,” Rose said during a recent interview with The Marquee.